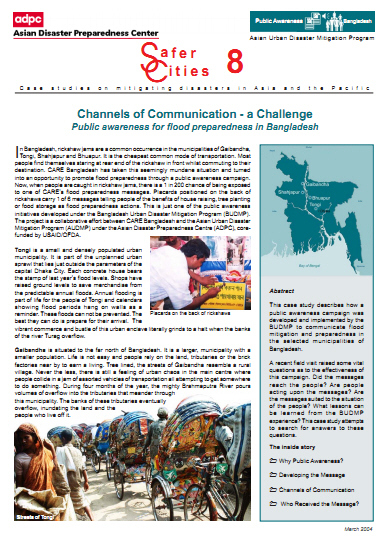 BUDMP to communicate flood mitigation and preparedness in the selected municipalities of Bangladesh. A recent field visit raised some vital questions as to the effectiveness of this campaign. Did the messages reach the people? Are people acting upon the messages? Are the messages suited to the situation of the people? What lessons can be learned from the BUDMP experience? This case study attempts to search for answers to these questions.